Asteroid Day LIVE will be the first-ever 24-hour live broadcast about space, and specifically asteroids, airing on June 30, 2017 made possible by support from OHB, SES, BCE and the Luxembourg Government. 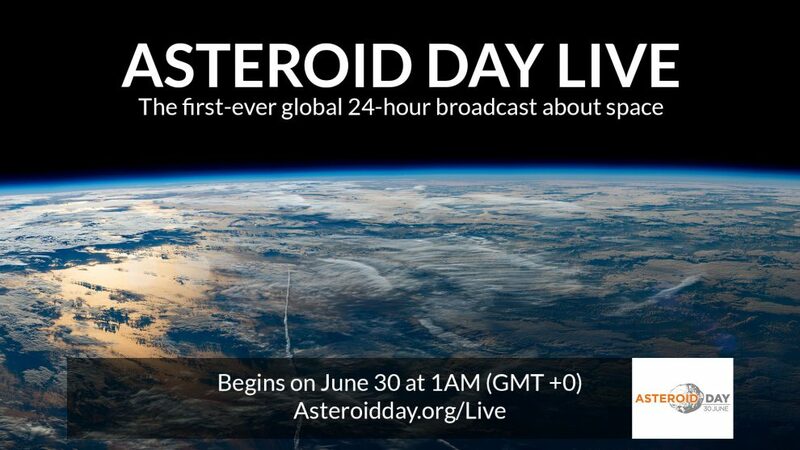 Asteroid Day LIVE includes six hours from Luxembourg in addition to live programming from ESA, JAXA and NASA. The six-hour broadcast from Luxembourg plus hours of other international programming is creating a global conversation about some of the most important asteroid missions and new discoveries, with scientists and experts around the world.